Miniature painting is widely recognized for its highly decorative and graphical images. They are some of the most fascinating pieces of art to look at, given the format and their level of intricate detail. Like Islamic calligraphy and illumination, it is a form of traditional Islamic art and is considered to be one of the most developed form of Islamic painting. Originally, these small paintings were part of a manuscript, used as front piece or an illustration for a text. 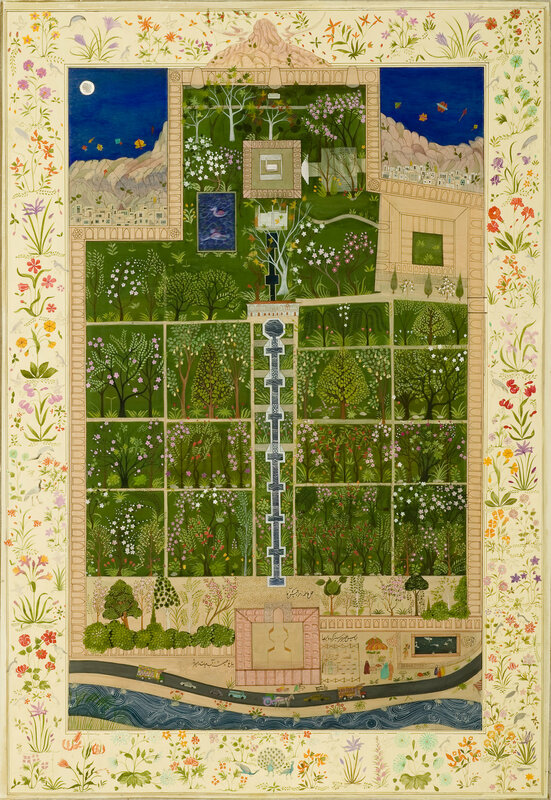 Often made for and owned by rulers and wealthy patrons as illustrated manuscripts, these traditional works depicted lives of kings, scenes from battles, leisurely pursuits of rulers, or inspired by poems, such as the famous work of Persian poet Ferdousi, the Shahnameh. In later periods, individual pieces were produced to be incorporated in albums, also known as muraqqa. The Islamic miniature painting can be categorized in four different regional schools; Arab, Persian, Mughal and Ottoman Turkish. 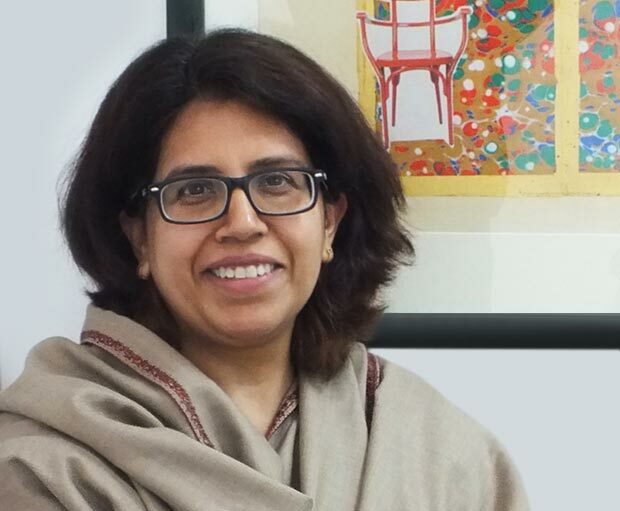 In pursuit of learning more about the practice of miniature painting, I recently reached out to renowned U.K based visual artist, Fatima Zahra Hassan. Dr. Hassan’s work often deals with spiritual or mystical elements. She graduated from Royal College of Art, London and Prince’s School of Traditional Art. 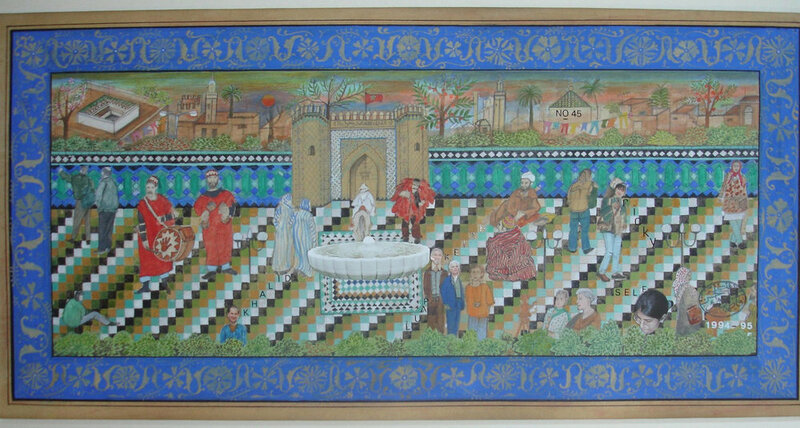 Dr. Hassan is trained in traditional Indo-Islamic, Mughal and Persian painting. Her work can be found in private and public collections, including the Prince of Wales. She teaches and exhibits her work in galleries and museums all over the world. What inspired you to focus your visual arts studies on miniature painting? I quit premedical studies to pursue visual arts, and in my foundation year I was drawn to the miniature painting due to my interest in book illustration and storytelling. What makes the miniature painting interesting, how is it different from other traditional arts, such as calligraphy or tezhip? Miniature Painting is unique as it transforms the material world into a world which is dreamlike. 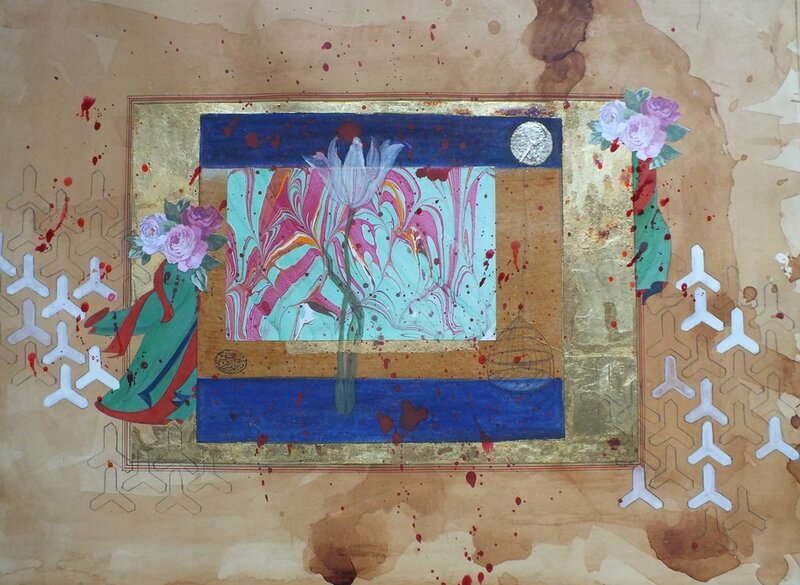 It is representational art form when considering the other visual Arts of Islam. It can tell the whole, manifold story in a small space . It takes the viewer on a journey which is full of mysteries, and one needs to unfold as you go along. The other arts such as; tezhip (tezhib) and calligraphy are different. Miniature Painting can absorb them both and can survive on its own due to an active element of design and stylization along with its theatrical characteristics whereby one feels like stepping into a painting and become part of it. How do you come up with your compositions? I work intuitively as many artists do by listening to your creative instinct. At times, I can see the whole of composition as it is in my head and then translate it on paper visually or I start randomly and keep adding or at times deleting also till I am satisfied. Since my work heavily relies on Metaphysics with a language of semiotics which is peculiar to a particular region. 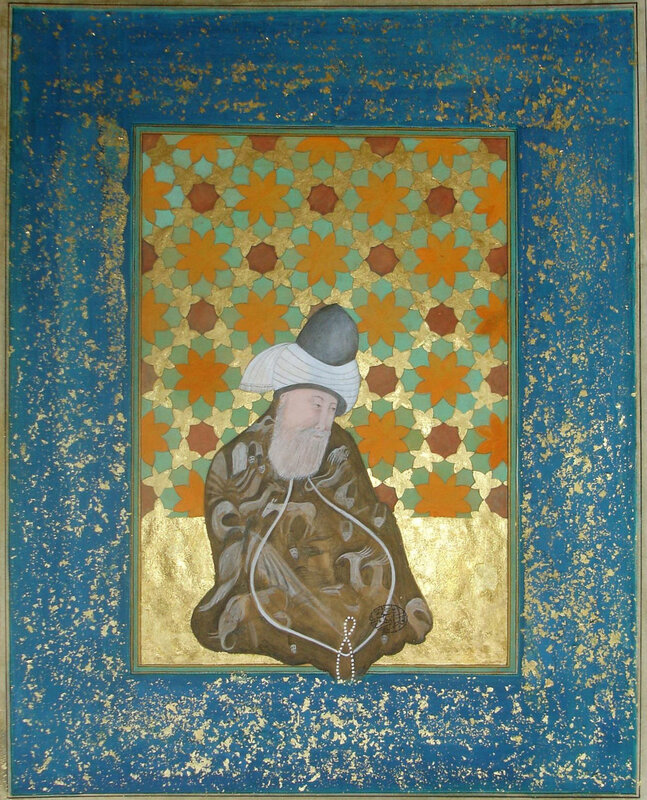 In the classical world (East), I like Ustad Behzad, Aqa Mirak, Ustad Mansour, Bichitcher, Dolat, Nasuh (from Ottoman Painting), Al-Wasiti (From Syrian Arab painting). Also, Nainsukh, 17th Century Himalayan foothill Painter from India. Favourite classical calligraphers: Mir Ali Heravi (16th C.) Iran, Mir Sayyed Ali (16th C.) Iran/India.From Japan, Kawanabe Kyosai. From the West, I like Giotto, Rembrandt, Klimt and in modern painters/visual artists, I am fond of David Hockney (British) due to his wide range of art and design practice. From Pakistan, I am fond of Abdal Rahman Chughtai's line work and rendering as a master artist. In my contemporaries, I like Khadim Ali, Ali Kazim and Kate Montgomery. My favorite classical calligraphers are Mir Ali Heravi (16th C.) from Iran, Mir Sayyed Ali (16th C.) from Iran/India and from Japan, Kawanabe Kyosai. 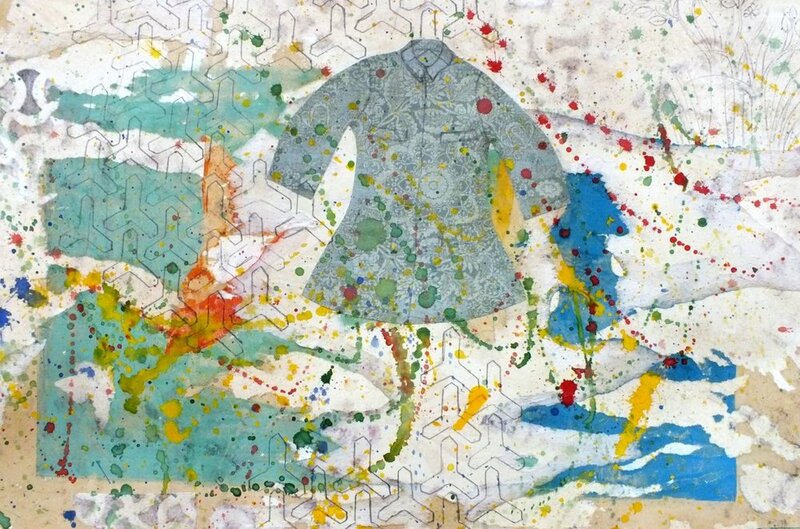 And among the contemporary calligraphers, my favorites are Soraya Syed Saunders (UK), Nassar Mansour (Jordan). The favorite of all is Ustad Hasan Celebi from Turkey. It needs patience as it is a time-consuming art form and requires a tremendous amount of practice and skill. The students can learn and use it in a contemporary context by doing book illustrations, book covers, surface embellishments in the design industry. The beauty of this art form is that it is a form of fine art, but at the same time, it can be used as a design form. For students, it can be a right area of specialization.